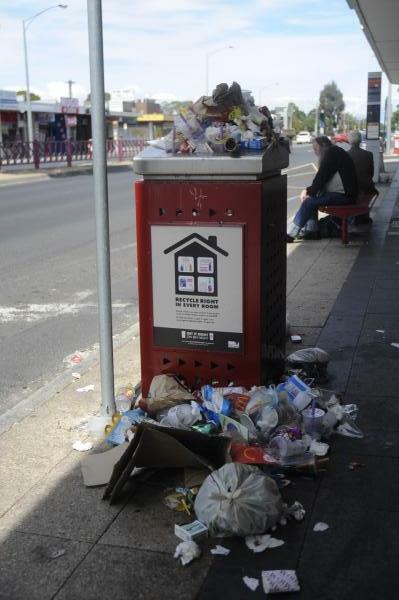 Springvale''s streets filled with rubbish during a council strike late last year. CITY of Greater Dandenong will investigate ways to keep its streets cleaner. Councillor Sean O’Reilly, at the 11 February council meeting, moved that council officers prepare a report on potential measures to improve the overall cleanliness of residential streets and the associated costs. “In particular, graffiti and dumped hard rubbish left on our streets,” he said. Cr O’Reilly said one of the headline things residents talked about during his election campaign was the cleanliness of their environment. “This motion deals with all the issues pertaining to that,” he said.